A common enemy was watching from the sidelines as US retail giant Walmart acquired Flipkart for $16 billion (around Rs 1.05 lakh crore) last week in the world's biggest e-commerce deal. There was no shortage of superlatives as the buyout, which valued Flipkart at nearly $21 billion, was hailed as a watershed moment for Indian e-commerce and an inspiring story for the country's new breed of entrepreneurs. But for Amazon, which had also reportedly bid for fierce rival Flipkart, perhaps its biggest nightmare in an Indian context had just become a reality at a time when it was increasingly eating into the Indian's e-commerce company's market share. Simply put, the two US giants are now set for a showdown on Indian soil in what appears to be the biggest e-commerce war yet. “The next 10 years will be a championship fight between Walmart and Amazon," Seth Freeman, senior managing director of GlassRatner, a US-based financial advisory and restructuring firm, told TechCircle in an email. He added that the long-term growth potential of the Indian market is particularly attractive to both companies. "I understand that Flipkart is getting a $2 billion infusion, but Amazon was already planning on spending $5 billion. I expect we will see these numbers growing from both companies as they fight it out," said Freeman. 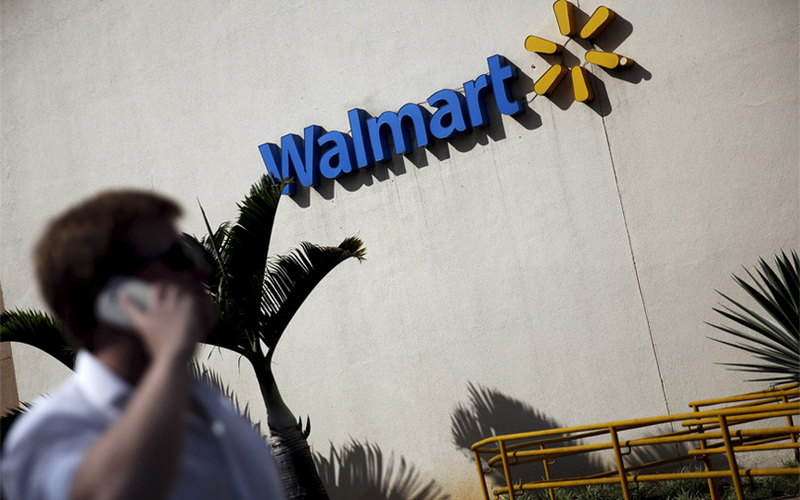 Jason Benowitz, senior portfolio manager at US-based The Roosevelt Investment Group, feels the Flipkart acquisition has vaulted Walmart to pole position in the high-growth international e-commerce market. That said, Walmart's strategy of culling its brick-and-mortar retail assets globally to focus more on e-commerce has yet to pay rich dividends. In fact, Amazon's heavy investment in India continues to bleed its international business even as it touts its successful Prime service and growth to investors. Analysts think that the success of the Walmart-Flipkart combine will depend on how soon they experiment with the grocery and offline spaces. This would play to the US retail behemoth's strengths and its offline supply chain and back-end foundations would give it an edge over Amazon. Amazon is steadily expanding its online grocery offerings but is still far from catching homegrown leader BigBasket. GlassRatner's Freeman said that faster delivery and increased item selection from Flipkart is an important gain for Walmart even as it gets access to an established logistics infrastructure. However, Meena feels it would be tough for Walmart to bring Flipkart's customer experience on par with Amazon. “They also have to bring a product that can compete with the hugely successful Prime programme,” he said. Flipkart had attempted a Prime-like subscription service called Flipkart First a couple of years ago but eventually discontinued it. It is now reportedly in the process of reviving the programme. In the short-term, Flipkart may look to prioritise regaining the market share it has been losing to Amazon over the past couple of years. A recent survey by market research firm Forrester suggested that the companies are neck-and-neck in metro cities, while other data shows Flipkart losing ground to Amazon in terms of app downloads, app usage and browser visits. "The reality is that Indian e-commerce will not be a winner-take-all market. There is plenty of space for both Amazon and Flipkart to be successful in the country," said Roosevelt Investment Group's Benowitz. Email queries sent to Walmart and Amazon did not elicit a response till the time of publishing this report. But will the e-commerce space be an out-and-out duopoly? Not everyone thinks so. Abhijeet Biswas, managing director and co-founder of investment bank 7i Advisors, said that there is more at stake. “It will not only be Walmart versus Amazon but would also be the new-age online retail versus brick-and-mortar companies in India," he said. In India, online and offline businesses have traditionally operated alongside each other. Indian shopping habits mean that the like Big Bazaar, Croma and Reliance Digital continue to record positive growth even in the online era. However, industry experts say that smaller online players were struggling well before this deal was announced and are now likely to suffer even more with Walmart's strength in supply chain, white label merchandise and sourcing coupled with its financial muscle. "A cash surplus parent company can easily compete with a player that has to be in the market constantly for fundraising. It is an unequal competition for the likes of Snapdeal and ShopClues,” said K Ganesh, India-based serial entrepreneur and founder of venture building platform GrowthStory. But they need not give up just yet. “It is still a large market and Flipkart showed us how to fend off challenge. They will be niche players though, and they will have to be profitable sooner than they plan to,” he said.